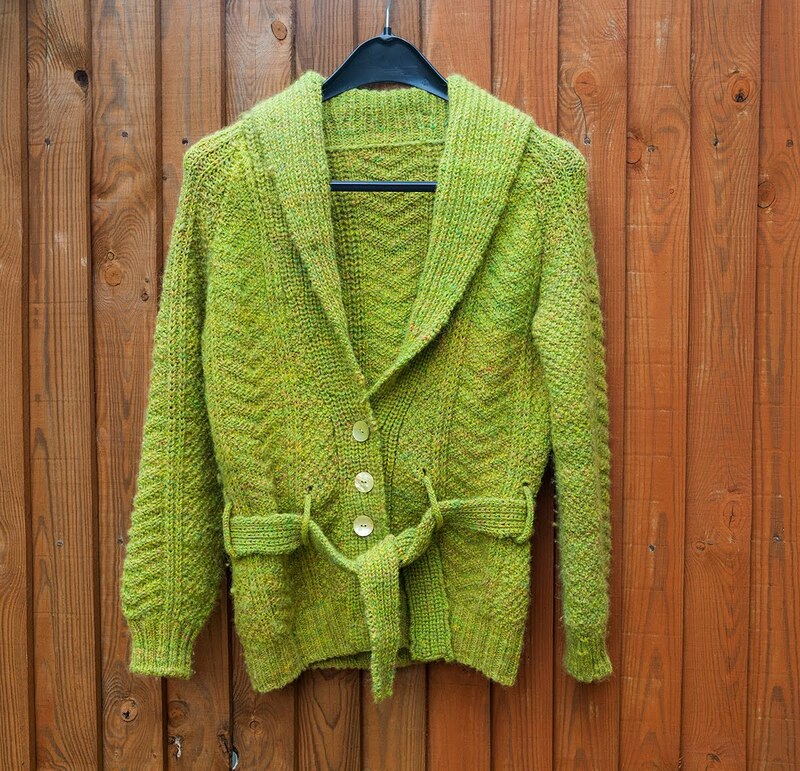 When I saw the Channel cardigan in Brooklyn Tweed's collection about 2 years ago I was very taken by it. The pattern, the thoughtful way the raglan sleeves are set, the shawl collar and of course the stylish belt. 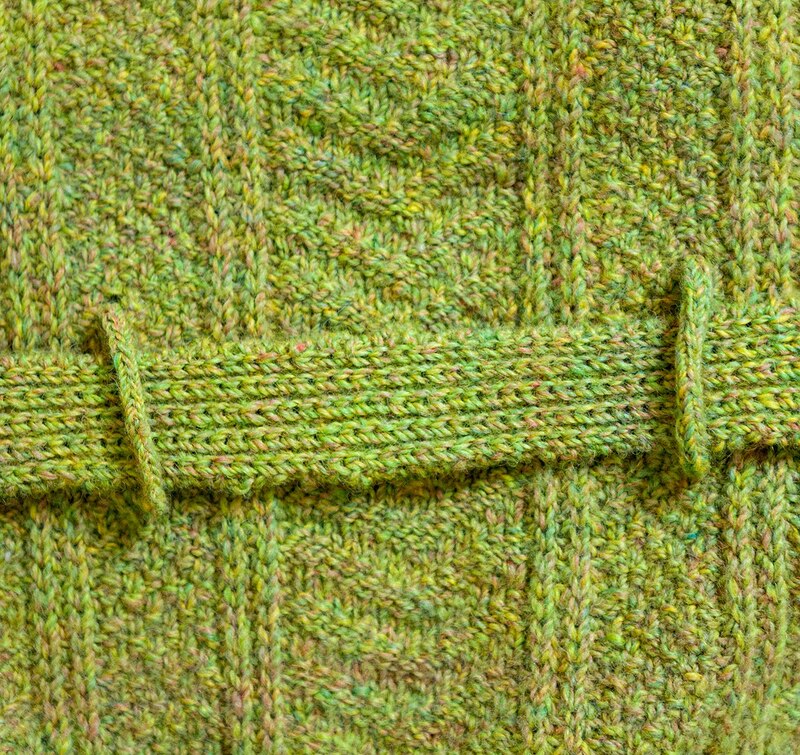 It's a knit for somebody with advanced skills and although I am somebody that fits the bill, I was apprehensive to start as there were a few techniques new to me such as the tabular cast on. It sounds like a lot of work and in a way it is but it really goes surprisingly fast. I did not use Brooklyn Tweed's Shelter but instead Loop Alpaca Tweed in the wonderfully named colour "House of Bees". It's a beautiful tweed yarn, possibly a little heavier than Shelter but perfect for this cardigan. The alpaca yarn is incredibly soft to the touch and very warm. While knitting I thought it had too many knots and too many areas where the spinning was inconsistent which for a yarn that expensive should not be the case. 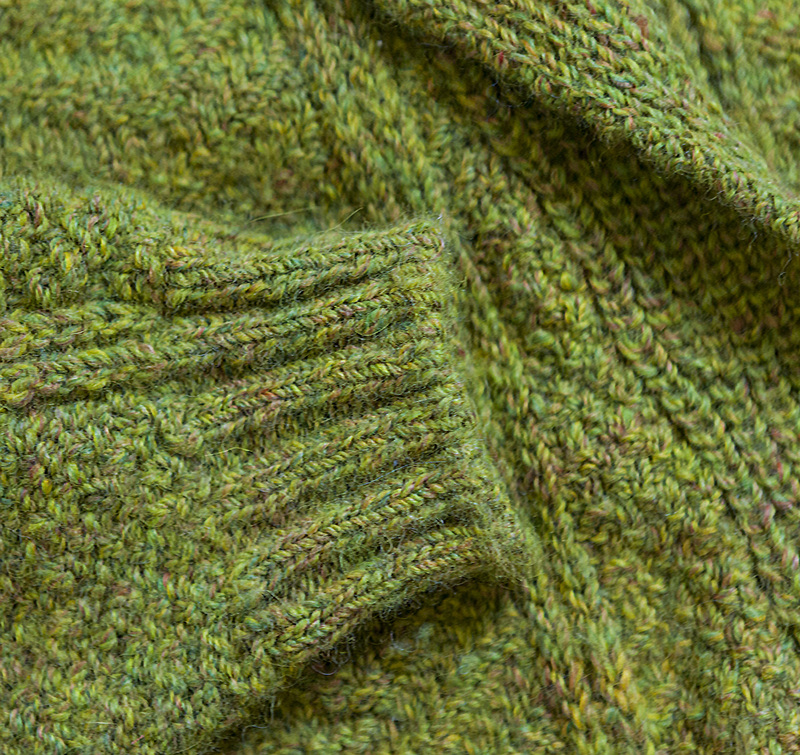 Although this was annoying (and I have since gave that feedback to Loop as they commissioned the yarn) it did not stop me and is hardly visibly in the finished jacket. 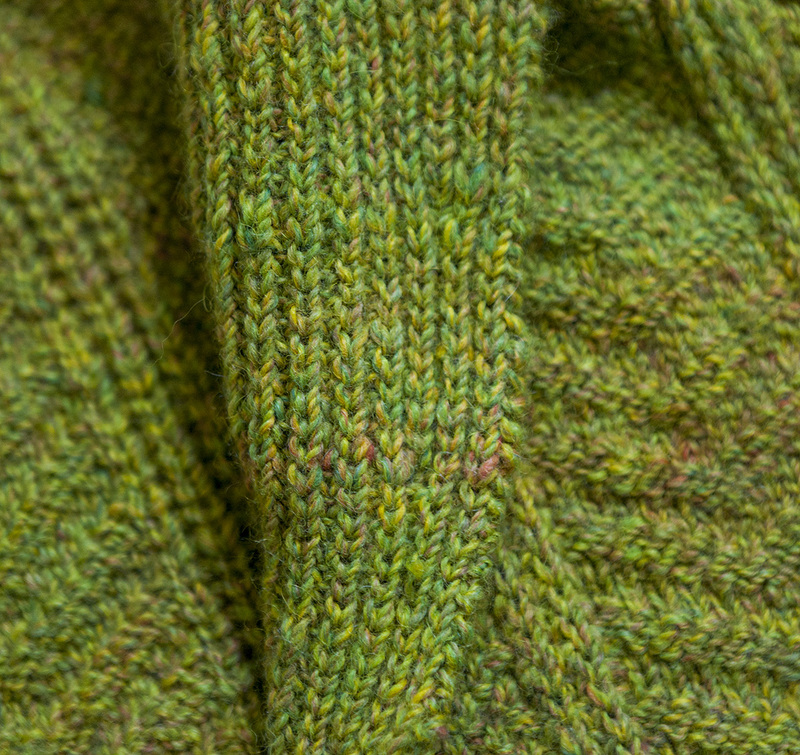 I knitted in the smallest size as the yarn, although almost identical to Shelter in length is a little thicker. I thought it might not keep the form as well as shelter but it actually does hold incredibly well. The tabular cast on was a first for me and I have since used it again and absolutely adore it. It's not difficult, just a bit time intensive to begin with. 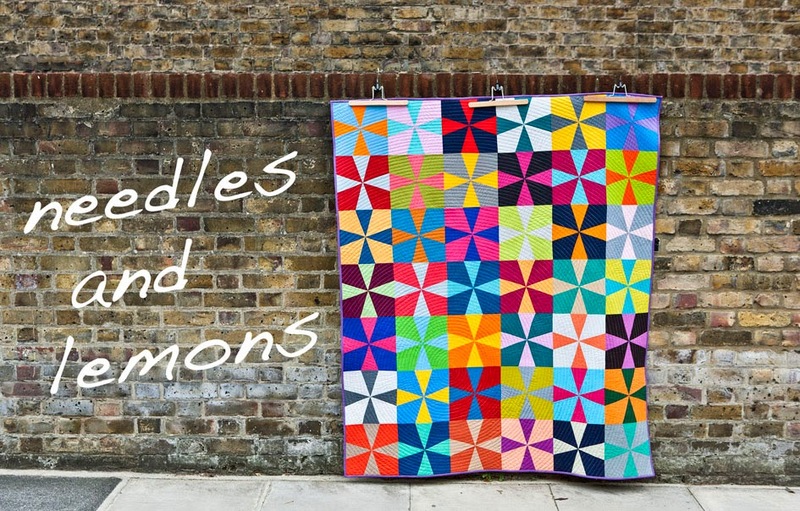 The pattern is not difficult to knit and its an easy repeat of knit and purl for the chevron part and in between it is decided through a brioche pattern. 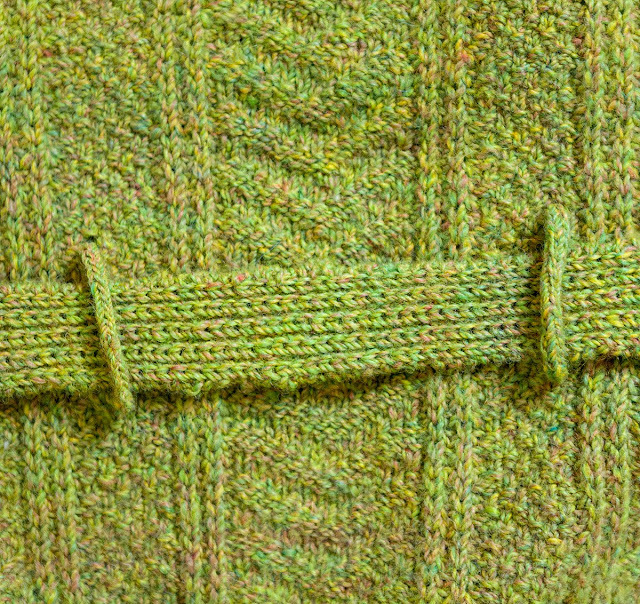 The belt and shawl colour are knit in brioche to give it structure. I started of the with just knitting an arm to see if the wool works out and whether I liked it. I did and then slowly made my way through the other pieces. 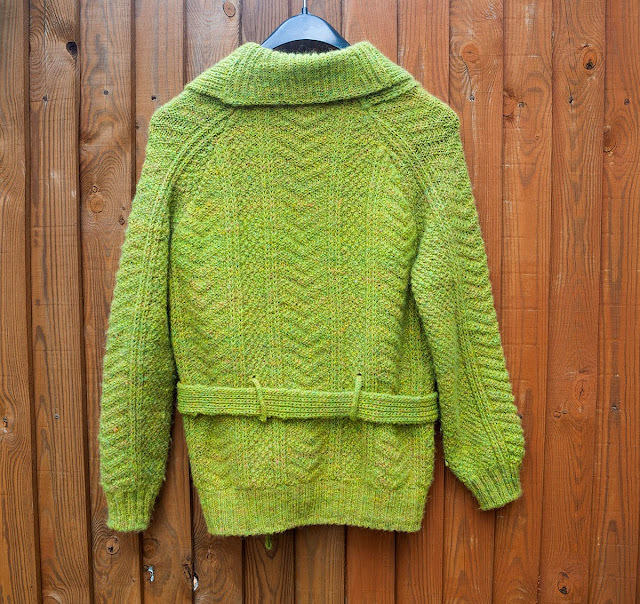 The back and two fronts are knit in one piece and the arms are then attached which makes for a really fast construction. The shawl colour and belt took rather a long time to knit and I used an entire skein for them and in fact all I had left was maybe 10 meter of yarn in total! 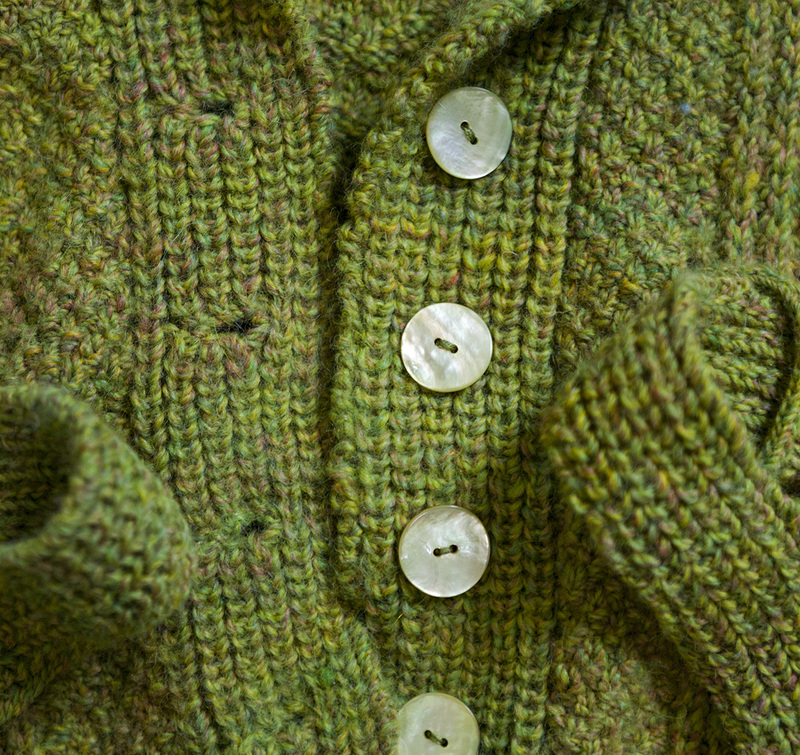 The finished cardigan fits extraordinarily well and I could not be more pleased with it. It's warm and cosy and above all very stylish and has been warn a lot over those past 3 months. And I was very pleased when I found those shell buttons in exactly the same yellow/green colour. Such a gorgeous sweater and it fits you beautifully!